Nearly a year after Netpol first raised concerns about new guidelines on the policing of anti-fracking protests, we have finally received some answers to questions we raised with the National Police Chiefs Council. In the second of four posts, we look at the police’s attitude to the use of body-worn cameras and the implications for protesters’ individual privacy. 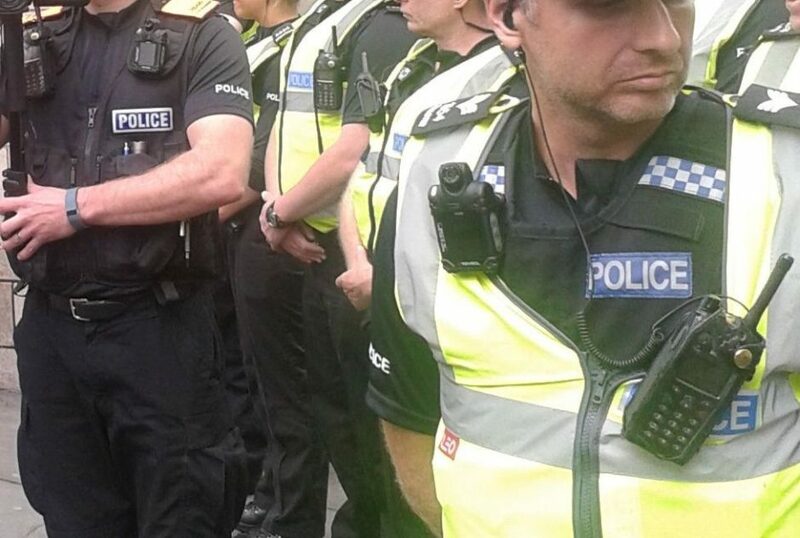 In Netpol’s briefing to the National Police Chiefs Council (NPCC) last year we raised, within wider concerns about the level of intensive and sustained surveillance targeted at anti-fracking protesters, the particular issues of photography and police body-worn video (BWV). The NPCC guidance makes it clear that police will use live video sources, including video cameras worn by individual officers, supplemented by social media sources. BWV raises particular privacy issues for anti-fracking camps, where protesters are subject to intrusive policing for long periods of time. The technology enables police intelligence-gatherers mingling with protesters to obtain images and record audio that most people would reasonably describe as ‘private’. This includes not only any interactions with individual officers, but potentially images of protesters cooking meals, talking to each other,and other activities that a routine part of daily life. This allows police to establish family relationships, friendship groups and identify different people’s roles at a or visiting a camp. It also enables the police to monitor movements to and from a camp or protest site and their vehicle details. They will, in all likelihood, photograph children. These images can identify and document individuals’ presence through the use, for example, of facial recognition technology, providing even more intelligence data on people undertaking perfectly lawful activities. We argued that last year the use of BWV equipment was “unjustified and a violation of democratic rights in the context of political protest, with the potential to significantly undermine relations between police and protesters”. Recent correspondence with Assistant Chief Constable Sarah Hamlin on behalf the NPCC, however, disagrees. Asked about whether the NPCC will conduct a privacy impact assessment on the deployment of BWV, Hamlin said, “no, the deployment of Body Worn Video (BWV) cameras at any policing event will be the decision of the policing commander in that force area”, adding that as well as providing evidence in criminal prosecutions, it protects “the rights and freedoms of protesters and officers”. The NPCC cannot advise individual forces against deploying this tactic. The deployment of BWV along with other evidence gathering capabilities is a tactic that can be deployed and therefore remains the decision for the operational policing commander within the force area. She adds that because “protesters often film protests with mobile telephones and other devices” as a form of protection, the use of BWV by officers with the overwhelming power and resources of the state at their disposal is in some way a comparable response. To begin with, it seems extraordinary that the NPCC, an organisation so overwhelmingly focused on ‘threat’ and ‘risk’ as discussed in our last post, has flatly refused to conduct a privacy impact assessment (PIA) on the use of body-worn video. The Information Commissioner’s Office urges organisations to integrate core privacy considerations into their existing project and risk management and says a PIA is the main tool “to identify and reduce the privacy risks of your projects”, adding, “a PIA can reduce the risks of harm to individuals through the misuse of their personal information”. Since 2008, the use of PIAs has been a “mandatory minimum measure” within UK government and its agencies and all departments must conduct them. The process of undertaking such assessments is a recognised as a way for large organisations to learn how to identify potential problems at an early stage and increase awareness of privacy and data protection across their organisation. Anti-fracking protests are significantly different (but entirely legitimate) forms of assembly to a march or a rally: taking place over days or even weeks instead of a few hours, with protesters often remaining at camps overnight, they pose unique privacy challenges. 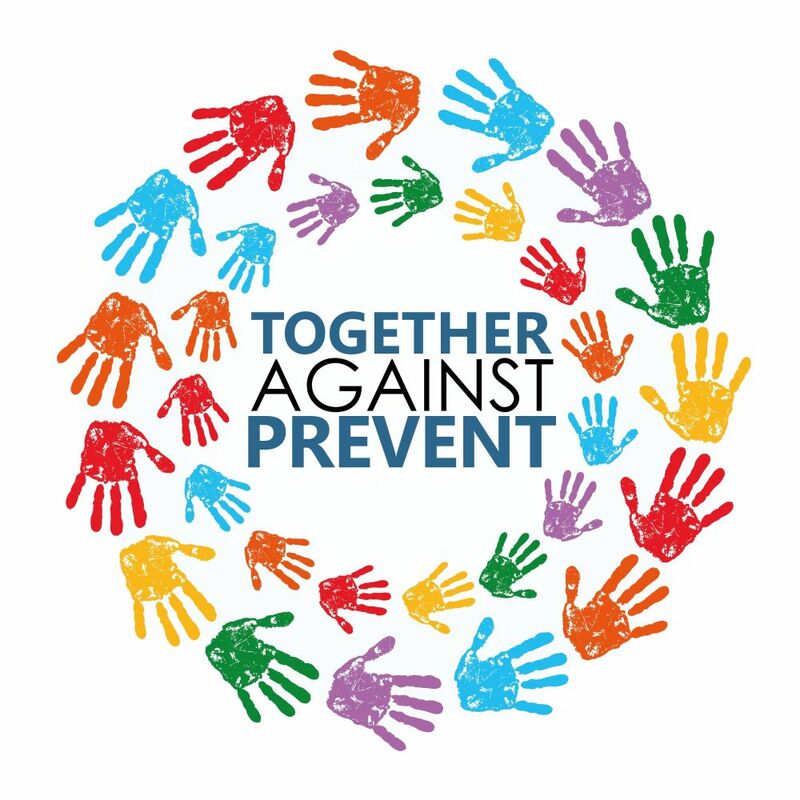 The NPCC’s lack of interest in this issue is therefore surprising, particularly as most people are understandably unhappy about constant invasion of their private space and this is likely to have an impact on the ‘positive engagement’ with the police that the NPCC says it favours (an issue we explore in our next post). Ultimately, if senior officers are unwilling to offer any direction or advice nationally and prefer to leave it to “the decision of the policing commander in that force area”, then it is at this level where campaigners must confront privacy concerns. We hope the NPCC will reconsider, but otherwise we will work with local groups to demand that local Police & Crime Commissioners and Chief Constables properly assess the use of body-worn video cameras. Our next post will look at the ‘liaison’ and ‘dialogue’ between police and protesters – and how, in policing circles, there is a very different idea of what these words mean.